Gallery / Saga Press, 9781481448956, 464pp. In this gorgeous fantasy novel that NPR Books called “a world to get lost in,” in the spirit of Guy Gavriel Kay and Robin McKinley, a prince and a princess must work together to save their kingdom from outside invaders…and dangers within. 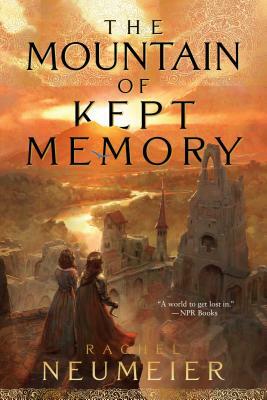 Rachel Neumeier, the author of The Mountain of Kept Memory, started writing in graduate school as a break from research, but years ago allowed her hobbies to take over her life. Along with writing both adult and young adult fantasy, she now gardens, cooks Indian food, breeds and shows Cavalier King Charles Spaniels, and occasionally finds time to read. Her most recent young adult novel, The Floating Islands, was a Junior Library Guild selection and was selected by Kirkus Reviews as a best book of the year. Her most recent titles include House of Shadows and Black Dog. "Give this one to readers who enjoy the dark, dreamlike fantasy of Neil Gaiman." * "It’s the poetic, shimmering language and fascinating unfolding of worlds that elevates this engrossing story beyond its formula...[for] fans of Sharon Shinn’s books." "Vivid, satisfying...most compelling is the world and its magical laws, which invite further related stories." "This book is like cupped fire, held in the hands: joyful and fierce and precise, painful and true beyond measure. It has the simplicity of poetry, the complexity of myth. I adored it." "A world to get lost in."